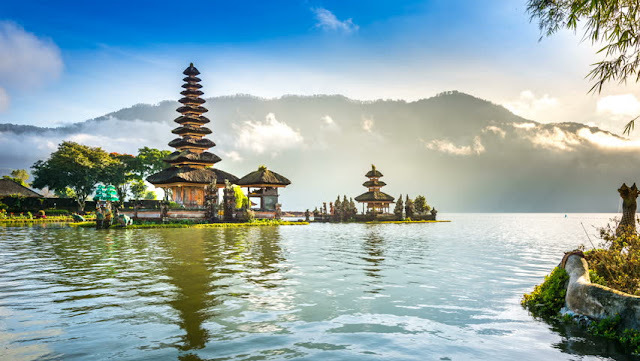 Pura Ulun Danu Bratan is a very famous Hindu holy temple on the island of Bali and when the lake Bratan water rises/pairs then Ulun Danu temple will look like floating on the water. The history of Ulun Danu Bratan Temple can be known based on archaeological data and historical data contained in Papyrus Chanting Mengwi. 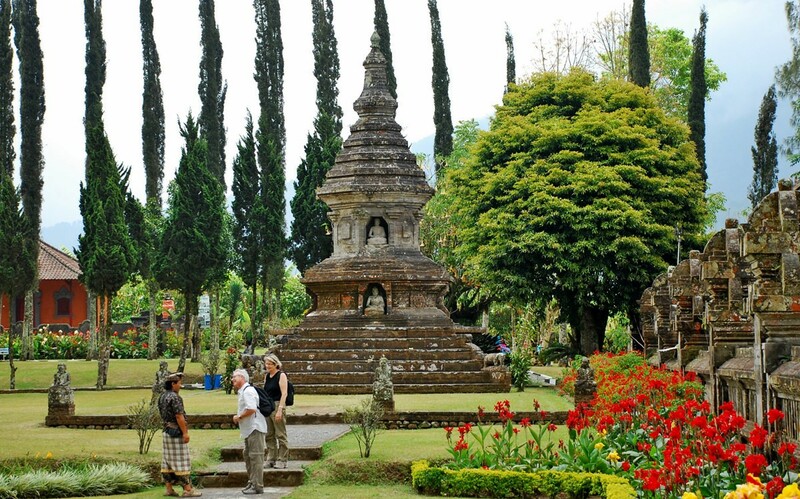 Based on archaeological data on the front page of Pura Ulun Danu Bedugul is a relic of historical objects such as sarcophagus stone and stone board which is estimated to have existed since the megalithic era, about 500 years BC. Both artifacts are now placed in the courtyard of Ulun Danu. 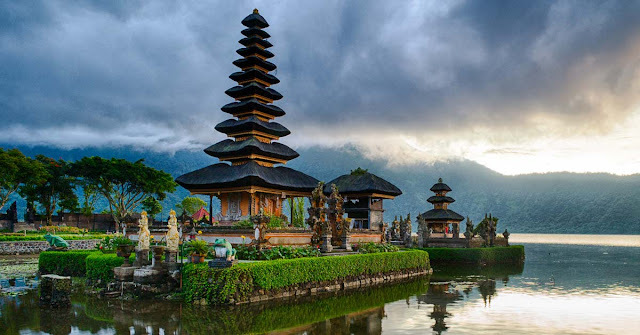 It is estimated that the location of Pura Ulun Danu Beratan has been used as a place to store rituals since the time of megalithic tradition on the island of the gods. Based on Babad Mengwi, I Gusti Agung Putu as the founder of the kingdom of Mengwi has established a temple at the edge of Lake Beratan before he founded Taman Ayun temple, not explained in papyrus Chanting Mengwi when precisely he founded Ulun Danu Beratan Temple, but explained about the establishment Taman Ayun temple and its ceremony on the day of Anggara Kliwon Medangsia, the year Çaka 1556 (in 1634 AD). 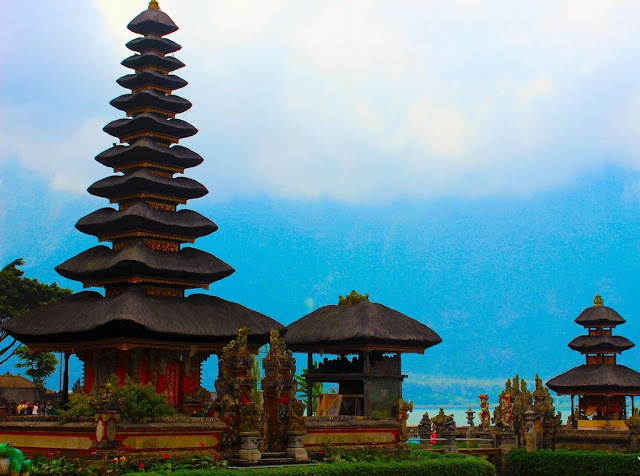 Visiting Ulun Danu BeratanTemple, travelers can enjoy the uniqueness of the temple and the beautiful natural surroundings. Beautiful atmosphere, cool, and clean air began to feel since tourists set foot in the parking lot to the temple. From this parking lot, tourists must first buy a ticket to enter the temple environment. The travelers will then pass a path decorated with flowers, grass, and evergreen fir trees. This path leads to the entrance to the temple (gate). Before entering the gate, try to visit for a moment the building of the stupa (Buddhist temple) which until now still used as a place of worship. Not far from the temple area, there is also a mosque building as a place of worship for Muslims. The existence of these stupas and mosques reminds us of how religious tolerance has been practiced for a long time by the people of Bali. Entering the gate, we will see a typical Balinese temple building characterized by a tower that graded (meru). Inside the temple complex, there are at least some tower buildings that have a terraced roof, the tower with 11 levels roof, 7 levels, and 3 levels. The existence of the storied tower depicts the worship of three gods, namely Lord Vishnu (11 levels), Lord Brahma (7 levels), and Lord Shiva (3 levels). Interestingly, because it is located on the edge of the lake is rather low, making the land around the temple is often inundated when the lake water discharge is overflowing. This condition creates a very beautiful scene, where the temple complex with its multilevel tower as if in the middle of the lake. This state of overflowing water is the best moment to photograph the Ulun Danu Beratan Temple. 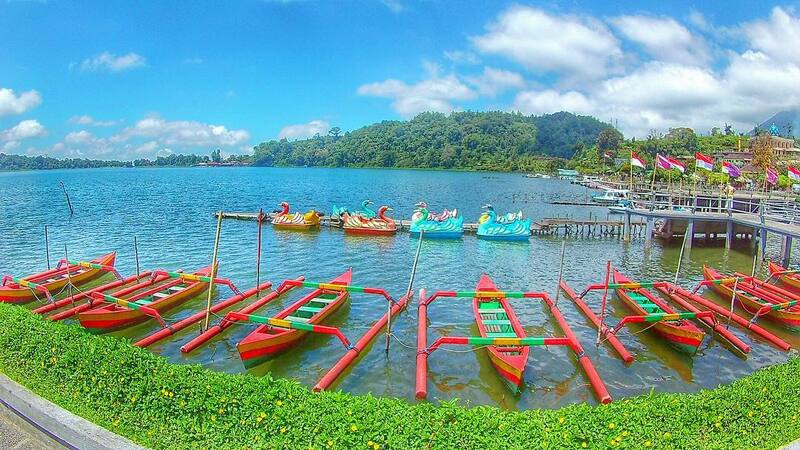 In addition to historical tours, tourists can also enjoy the beautiful Lake Beratan that has a depth of up to 23 meters. Tourists who are not satisfied just by seeing alone can hire a traditional boat or motorboat to surround the lake. Or, if you want to try the challenge of various water games, can also rent parasailing games, banana boats, and jetski. To just spend time, tourists can also lure on the shores of the lake, precisely under the thick bamboo grove to just spend time. 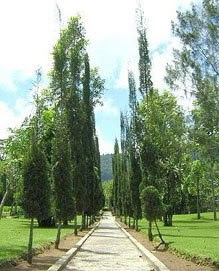 If you want the atmosphere of the forest with fruit plants that tempt the taste, tourists can go to Eka Karya Botanical Garden which is about 300 meters from Lake Beratan. 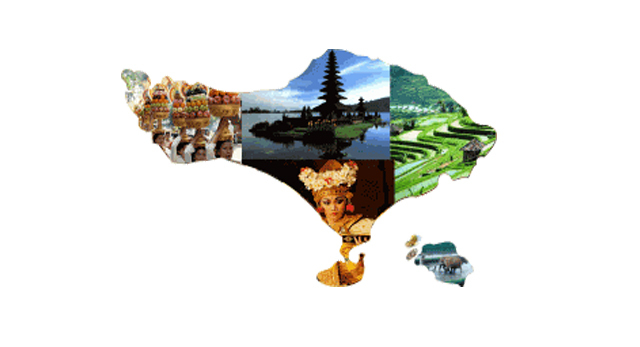 Visitors to Ulun Danu Beratan Temple must pay a ticket of 7500 rupiahs for domestic tourists and 10000 rupiahs for foreign tourists. As a historical and religious tourism object, Pura Ulun Danu Beratan has been equipped with supporting facilities, such as parking lot, playground for children, and toilets. The playground provides various means of play, such as swings, swivel chairs, and seesaws. Near the playground, there is a restaurant serving a variety of dishes. This restaurant will usually be full of visitors during lunch hour. Tourists who want to round the lake by renting a boat are charged 25000 rupiahs for a one-time tour, with about 20 minutes. For those of you who want to fish can hire fishing equipment for 5000 rupiahs, with time unlimited. Around the temple, there is also a quick face painting service, in just 15 minutes, at 1000 rupiah for each painting. If tourists want to buy souvenirs, in the north of the temple area there is a traditional market. In this market is sold a variety of plantation products, agriculture, typical Balinese handicrafts, and Balinese animals, the dog Kintamani.